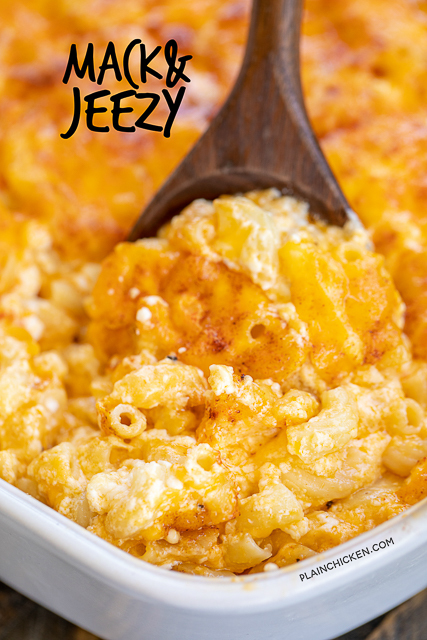 This Mack & Jeezy is our new favorite mac and cheese recipe. It is SO good!!! Loaded and loaded with cheese. PLUS you don't have to make any sauces. Just cook the pasta, mix together and pop in the oven. I LOVE how easy this is to make!!! We were introduced to this Mack & Jeezy at a dinner party. Chicken Legs and I both couldn't stop raving about it. We had to get the recipe. They told us that it was Terry Crews' recipe! I googled it at the table and added it to our menu for the next week. 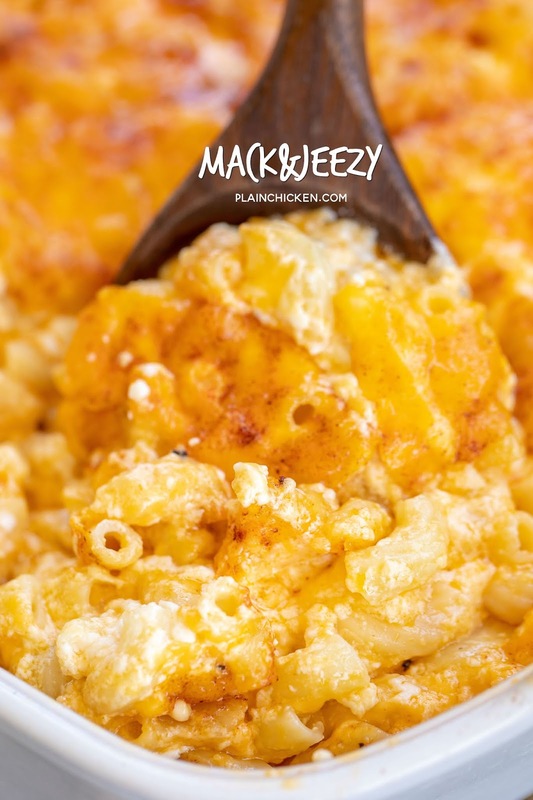 We are addicted to this delicious Mack & Jeezy. I have zero self-control around this yummy casserole. This is great for a potluck or cookout. You can easily double the recipe for a crowd! Preheat oven to 350°F. Lightly spray a 9x9-inch baking dish with cooking spray. Set aside. 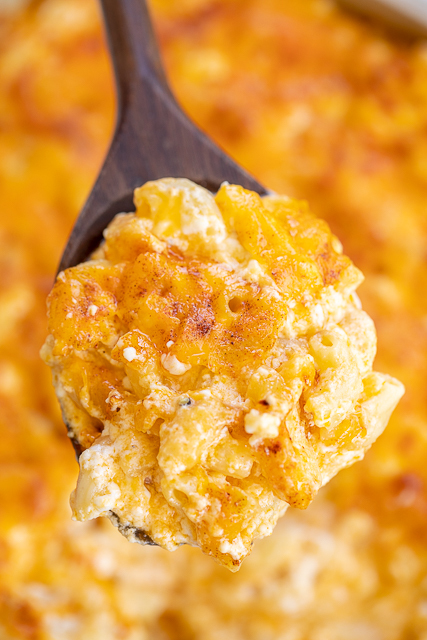 In a bowl, combine cottage cheese, 2 cups shredded cheddar cheese, sour cream, egg, and salt. Stir in cooked macaroni. Spoon mixture into prepared dish and sprinkle with 1 cup shredded cheddar cheese and paprika. Bake for for 35 to 45 minutes, until bubbly. I saw this recipe and said YUM!!! Then I got to thinking about your ham and cheese puffs recipe and how delicious that is and said what if I add some ham to this dish? That will be a full meal with a side salad!! I love easy and effortless. Thank you. 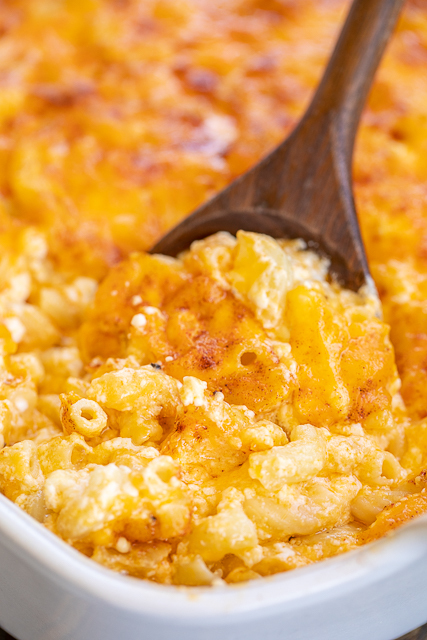 This is my exact mac and cheese recipe that has been in our family for YEARS. The only thing different is that we use Lawry's seasoning salt, instead of regular salt. So good. It's my pot-luck go-to and friends/family ALWAYS rave about it. 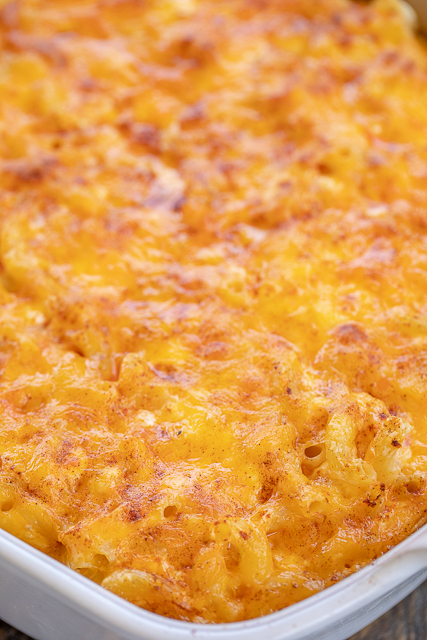 And we call it "company mac and cheese." I’m the only person in my family who likes cottage cheese. Do you know if there is anything else I can substitute. You will just have to use your best judgment for substitutions. Do you think this could be doubled and half of it frozen prior to cooking? Love anything I can cook once and eat twice.